Share %s using EmailThe Driverless Commute: Is 2019 a bear turn for AVs? ; the fight over connected car communication divides car makers in Europe; cheaper, lighter LiDAR and machine-learning for lane-keeping. 2018 was the year of the driverless car. No, they didn’t become commercially available and they failed to traverse the realm of true autonomy, but they captured the public’s imagination and sometimes paranoia in a way unlike ever before. Finally, it wasn’t just artificial intelligence researchers talking about autonomous vehicles, but regular Joes drawn in equal parts fascination and fear to the subject. But now the honeymoon is over. After throwing money at startups like drunken sailors for years, the industry has signaled a coming retrenchment. Rather than more multi-billion dollar acquisitions, expect to hear about reoganizations and partnerships that would have been unthinkable only years earlier. Once-bitter rivals BMW and Daimler, the parent group of Mercedes Benz, announced in March a remarkable agreement to pool their resources in the development of autonomous vehicles. Volkswagen, another German car giant, is reportedly considering a $1.7 billion investment in Ford’s self-driving unit, Argo AI. Last year, Honda purchased a $750 million stake in Cruise Automation, General Motors’ pricey AV division, and at the same time pledged to inject an additional $2 billion into the initiative over the next 12 years. This week, Ford CEO Jim Hackett admitted that his company was forced to tap the breaks on its self-driving ambitions and would be forced to take to market a more constrained offering than originally promised. Hackett’s geofencing comment means working towards Level 4 autonomy, while rivals like Waymo are aiming still for unrestricted autonomy. It also means that the fleet’s deployment will serve areas with only the best, most detailed mapping. 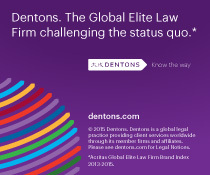 The Driverless Commute is provided by Dentons’ global Autonomous Vehicles team. If you believe a colleague or associate would benefit from this service, please share this link so they may subscribe. A fiercely lobbied proposal in the European Parliament to establish an open-source protocol for wireless communications between connected cars was rejected this week in committee. The standard, which bypasses cellular networks to communicate instead on the 5.9-gigahertz radio spectrum to lob information between vehicles and infrastructure, was opposed by a variety of telecoms, who want the EU to give priority to cellular vehicle-to-everything technology, which would be underpinned by a still-as-yet-undeployed 5G network. Telecom opposition to dedicated short range communications (DSRC) is easy enough to understand: self-interest. But the issue has created an interesting fissure between carmakers, who are divided on which system is best. On one side is BMW, which has lobbied the EU to support a 5G-based system for connected cars. It’s also worth nothing that this time last year, rivals Audi and Ford demonstrated with the help of cellular V2X booster Qualcomm that the standard could work between cars from different manufacturers. On the other side is Volkswagen and Toyota, which has said it hopes to deploy DRSC-equipped cars to the US within two years. There’s also a third approach: a technology-neutral standard, supported by the Finnish and Spanish governments. There’s no technological reason that cars can’t leverage both systems simultaneously. It would also allow natural market functions to dictate the dominate platform. Researchers in Sweden say they’ve made a huge advance in optical beam-streaming, a key component of LiDAR, that makes for a much cheaper, lighter and easy-to-produce component. IBM has patented a new blockchain system for AV applications. Hundreds lined up in Detroit at SAE International’s World Congress Experience for the chance to ride in self-driving cars. A startup in Cambridge says it can use machine learning to teach lane-keeping to a car in the space of ten minutes. Click here to speak with our experts and attorneys across the world to learn more about any of the items contained in this week’s report.